Northern Idaho is a rural area and long distance moving is the way to go. We are a five star rated moving company that can move you to or from Clark Fork and across the country. Not every mover is capable of navigating the roads here and it’s wise to select a long distance or interstate mover who knows the way. Lake Coeur d'Alene Movers / Stateside Movers LLC has been awarded a five-star rating and has proven that it can deliver your prized possessions to your new hideaway in Garfield Bay. Long distance and interstate movers are regulated businesses. Before you select your mover, be sure to verify their license and insurance information to make sure they are current. You are entrusting your possessions to a company who will move them to another place, be sure they have a reputation for safety and customer satisfaction. Five-star ratings consider these factors as being at the top of the list. Garfield Bay is a small community close to Sandpoint on Lake Pend Oreille. Located on the Lake it has several campgrounds and the nearby city of Sandpoint is the business center. People who live here love the outdoors, scenic views and year-round recreation in just about any form. From fishing and sailing to hunting, skiing, and hiking, you can do just about anything here. Who needs a vacation when it’s all outside your front door? Moving here will change the way you view life. You will "cut the cord" on your media habits as sunrises and sunsets, the sound of waterfowl, the gentle breezes, and rustle of pine trees replace the news, music and city noise. You will find the sound of rain on the roof soothing, the sight of snow falling will be relaxing and nature will sing you to sleep every night. Garfield is a resort, refuge, and haven all in one. Getting ready to head to Garfield Bay is exciting, packing is not. Looking at the furnished present home and trying to imagine it packed, loaded and unloaded can be discouraging. 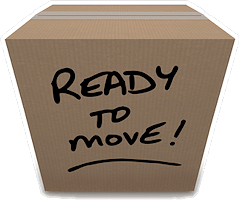 We offer professional packing services for your Garfield Bay move. 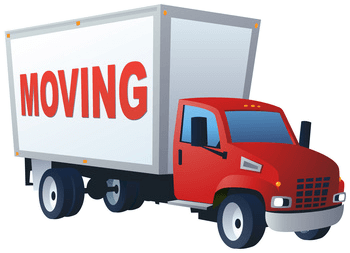 Long distance moving and interstate moving are life events for which you should plan in detail for success. 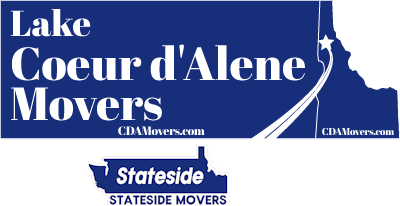 Lake Coeur d'Alene Movers / Stateside Movers LLC is a five-star rated company that will go the extra mile for you on moving day.